The first step you’ve to take is to measure for your curtains. You can read about ‘how to measure’ here. 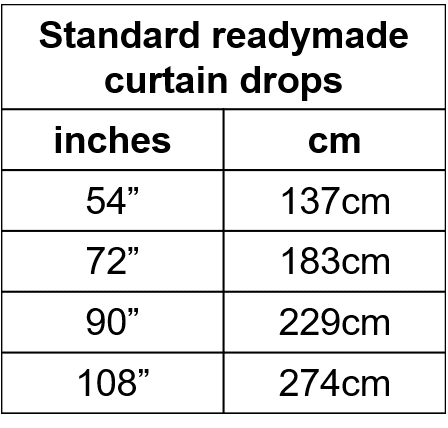 Once you have this information you can then determine which readymade curtain size is suitable for you. 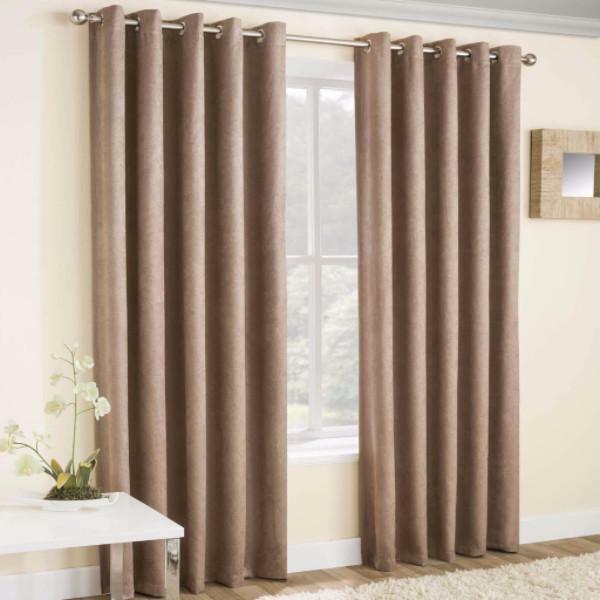 Each readymade curtain package will contain a pair of curtains, unless specifically stated otherwise. Each curtain panel will measure the stated width and drop on the front of the package, i.e. a 66″ x 72″ readymade will contain two curtain panels measuring 66″ x 72″ each. To have your curtains looking as well as possible, you will generally want at least 2x the amount of fabric as the width of your curtain pole/track. To determine your drop, measure from the top of your curtain pole to where you want to the curtains to drop to. Compare this measurement to the table below and pick the drop that is closest to your measurement. If you are between drops, you can choose to have the curtains altered which is a service we provide, or alternatively, if you have space to do so, you could move your curtain pole higher. Once you’ve determined your width and drop, now you can decide 1) which heading you’d prefer, i.e. pencil pleat or eyelet; and 2) which lining you require, i.e. standard, blackout or interlining. Copyright 2018 © Duffy's .